The Trendy Multi Coloured Choker Necklace Set in 22 KT gold is a multi coloured stone gold necklace inspired from the water drops. 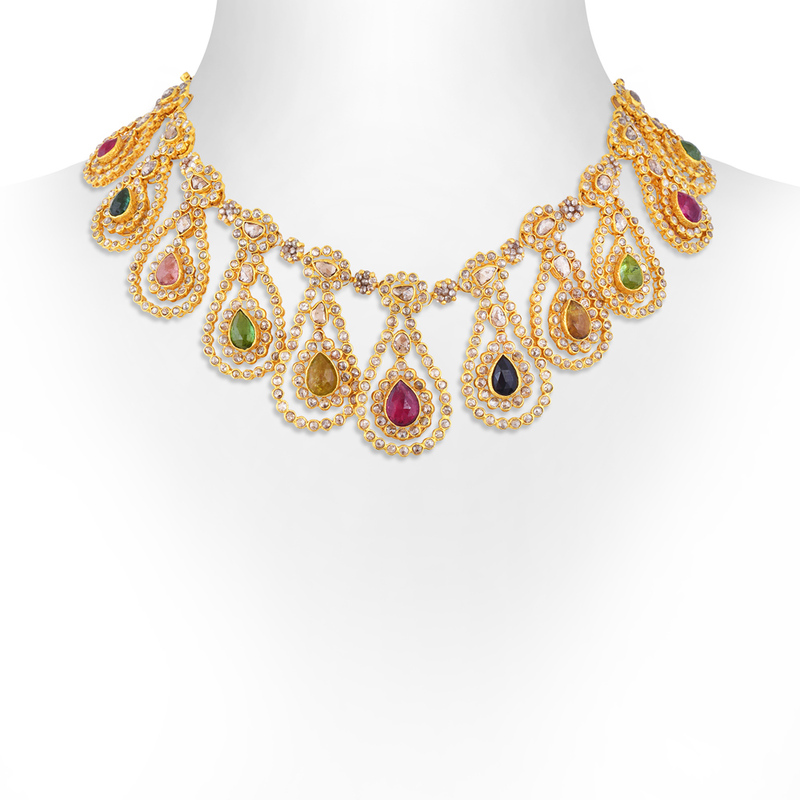 This necklace comes with a pair of gold drop earrings that has coloured stones on it. Flaunt it with a colourful lehenga or an indo western outfit to look glowing in parties and occasions.